What is Myces SB5000™ All About? To the people of the Caucasus Mountains in Soviet Georgia, this Kefir that they have used to prevent and treat illness for over a thousand years, is a wonderful blessing. Kefir has antibiotic and antiviral properties, which may help explain the long lives and good health for which the natives of the Caucasus are known. In 1908, Metchnikov wrote in his book, “The Prolongation of Life” that the secret to longevity that he found in the Russian mountains was the fermented goat's milk that the people were making and eating. The history of kefir is centuries old. Fermented such as yogurt and kefir are well known in Eastern Europe, but perfected in the Caucasus region. Lactic acid bacteria (LAB) have been used to ferment foods for at least 4,000 years. Without understanding the scientific basis, people used LAB and kefirs (bacteria and yeast complexes) to produce cultured foods with improved preservation and with different characteristic flavors and textures from the original food. A wide variety of foods, including sausage, ham, wine, cider, beef, sauerkraut, olives, and pickles contain LAB and otherGRAS (“generally recognized as safe”) microorganisms. LAB are used for many fermented milk products from all over the world as well, now, including yogurt, cheese, butter, buttermilk, kefir and koumiss. In the former Soviet Union, kefir accounts for 70% of the total amount of fermented milk consumed. It is also well known in Israel, the Middle East, Sweden, Norway, Finland, Hungary, Poland, Germany, Greece, Austria and Brazil. Like yogurt, kefir is milk based, made either from cow's milk or goat's milk (and in the case of Myces SB5000™, from goat milk). The process to make kefir involves fermenting milk with what are called kefir grains. The grains are a mass of safe bacteria, yeast and polysaccharides (complex carbohydrates.) The grains are a living, growing mass that have been the subject of much study to define exactly what makes up the grains. Origin, storage, temperature, growth, media (what you feed the kefir to make it grow) and handling, all influence the make-up of the grains. The polysaccharides that make up the mass of the kefir grain have been shown to be unique and have been given the name kefiran. The fermentation process takes about twenty-four hours, during which the grains change milk into a sour-tasting drink. Many years of consumption in these countries have demonstrated that the microorganisms in kefir are not pathogenic or disease-causing. Kefir is actually a preventative food. It possesses antimicrobial activity against a wide variety of gram-positive and gram-negative bacteria and against some fungi. In a recent study by Zacconi et al, the antagonistic effects of kefir against Salmonella were attributed to the complexity and vitality of the unique microflora found in this complex. Kefir contributes to more even movement of food in the intestine and the presence of lactic acid, acetic acid and antibacterial substances inhibit decomposition processes in the small intestine. In your quest for health, make sure that you focus on the foundations of health, first, foremost and always. With the basics in mind, keep your body detoxified of heavy metals and pathogens that interfere. Boths of these are things in which Myces SB5000™ shines. Myces SB5000™ is a specialty product brought from the Caucasus region of Soviet Georgia where the people are known to live well beyond 100 years of age (and sometimes to 145 years of age). 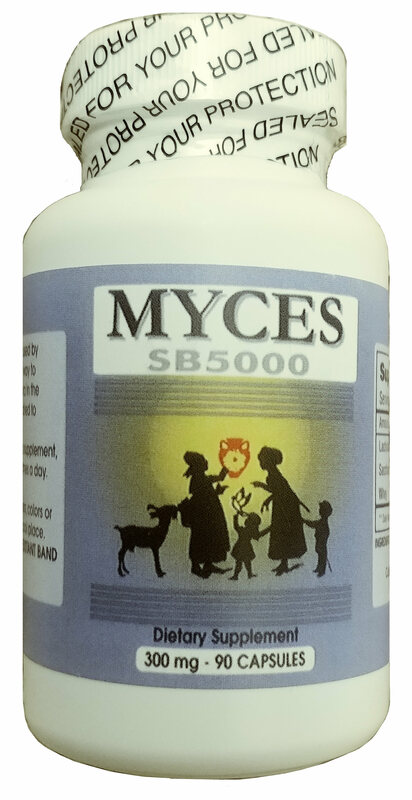 Myces SB5000™ are all natural freeze-dried capsules.. This unique probiotic is made in a special way from goat’s milk kefir and contains saccromyces and many other healing properties to aid your health and longevity. Far easier and infinitely better than making your own kefir at home, this product makes it simple to have a clean, well-functioning intestinal tract. Just swallow, two to three capsules daily. INGREDIENTS: This dietary supplement contains live probiotics microorganisms, yeasts, proteins, minerals, enzymes and naturally occuring vitamins and minerals. 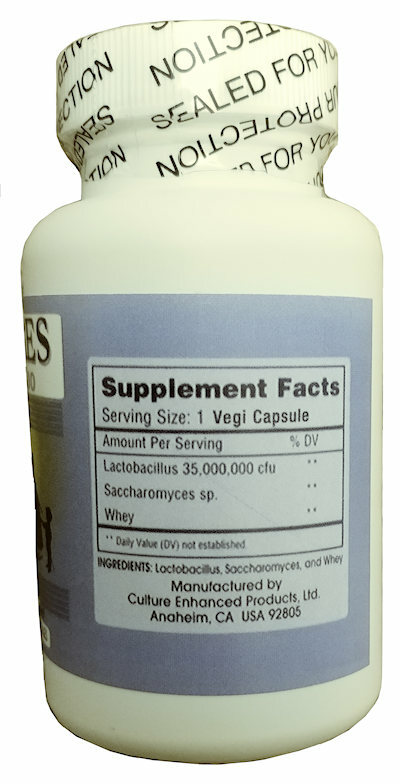 The probiotics in Myces SB5000™ produce a cleansing effect on the whole body which helps to establish a balanced inner ecosystem or flora for optimum health maintenance. They are grown in goat's milk, freeze-dried and then placed in capsules. The special kefir consumption of this region has also been associated with longevity in Caucasus Mountains where the drink was fermented naturally in bags made of animal hides. (Dr. Komai) This is from the folklore of the region and we make no claims as to the effectiveness of our kefir to treat or control diseases. It is, however, a very healthy drink which can help control bad bacteria and yeasts in the digestive tract. Various strains of Caucasus Kefir were eventually brought to Russia and then the U.S. Our particular strain was brought to the U.S. by a missionary in 1983. We have kept this complex alive since that time and have studied the many microorganisms it contains, including Saccharomyces boulardii, a now well-known yeast which is antagonistic to Candida albicans and pathogenic bacteria which cause severe gastrointestinal upset for the travelers. After years of work, we were able to stabilize and freeze-dry the complex so that it could be encapsulated and shipped to those in need. For thousands of years, the villagers in the Caucasus Mountains never allowed their precious complex to be used outside their area, but eventually, kefir grains did get out of the region. There are various strains among different villagers, however, with varying unique properties. Our particular strain comes from a missionary (who was originally born and raised in certain Caucasan village that shall remain nameless) and who convinced them that this discovery was too important to be used by only a few people and brought the process to the U.S. in 1983. It is now our amazing Caucasan kefir culture. We are honored that the people of this village in the Caucasus have shared their unique development with us. Discount given for purchases of three or more. According to the people of the northern slopes of the Caucasian Mountains, there is a legend that Mohammed gave his blessing on the people's kefir grains and they began to becalled the 'Grains of the Prophet'. They were guarded jealously since it was believed that they would lose their strength if the grains were given away and the secret of how to use them were to be common knowledge. Kefir grains were regarded as part of the family's and tribe's wealth and they were passed on from generation to generation. The kefir was made from either cows or goats milk and fermented in sacks made from the hides of animals. Usually the kefir sacks were hung out in the sun during the day and brought back into the house at night, where they were hung near the door. Everyone who entered or left the house was expected to prod the sack with their foot or hand to mix the contents. As kefir was removed more fresh milk was added, making the fermentation process continuous. 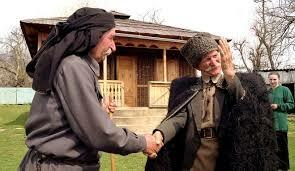 For many centuries the people of the northern Caucasus enjoyed this food without sharing it with anyone. Strange tales spread of the unusual beverage which was said to have 'magical' properties; Marco Polo even mentioned kefir in the chronicles of his travels in the East. Kefir was mostly unknown outside the Caucasus for centuries until news spread of its use for the treatment of tuberculosis and for intestinal and stomach diseases. Russian doctors believed that kefir was beneficial for health and the first scientific studies for kefir were published at the end of the nineteenth century. However, kefir was extremely difficult to obtain and commercial production was not possible without first obtaining a source of grains. The members of the All Russian Physician's Society were determined to obtain kefir grains in order to make kefir readily available to their patients. In the early 1900's a representative of the society approached two brothers by the name of Blandov and asked them to procure some kefir grains. The Blandov's owned and ran the Moscow Dairy, but they also had holdings in the Caucasus Mountain area, including cheese manufacturing factories in the town of Kislovodsk. The plan was for the Blandov's to obtain a source of kefir grains and then produce kefir on an industrial scale in Moscow. Eventually they succeeded. The kefir grains were taken to the Moscow Dairy and in September, 1908, the first bottles of kefir drink were offered for sale in Moscow. Small quantities of kefir were produced in several small towns in the area where there was a ready market for it. People mostly consumed it for its alleged medicinal value. Once you try Myces SB5000™ - the best of all Caucasus kefirs, you will never want to be without it. It is truly amazing! One of the main things that may notice almost immediately is the change in stool formation from sloppy to nicely well-formed, stools.